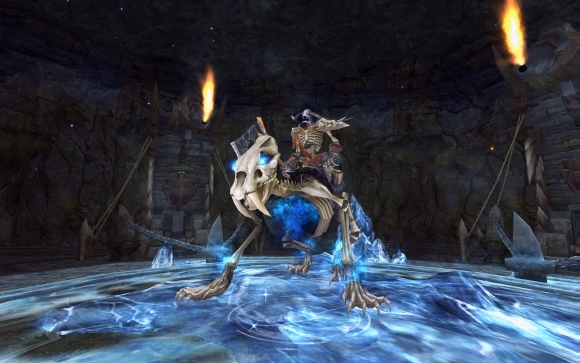 Players can earn the ability to do battle while on their mount by completing an epic quest line spanning across multiple zones. Starting at level 60, this quest line will automatically become available. 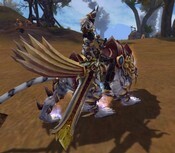 Upon completion of this quest line, players will receive a mounted combat license. Not every mount will be capable of mounted combat right out of the gate, but upgrade options are available. 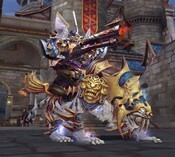 Any non-combat mount is able to be upgraded into a combat ready state. The license that enables this system is a temporary one, but can be renewed at will by spending vendor points. There is no limit to the number of mounts that can be upgraded with this system. 18 people rated this. 11 bumps / 7 buries! Chains of Kluer Teaser Site Now Live! Deep within the forgotten jail beneath Freedom Harbor, the Chains of Kluer grow weaker by the day! 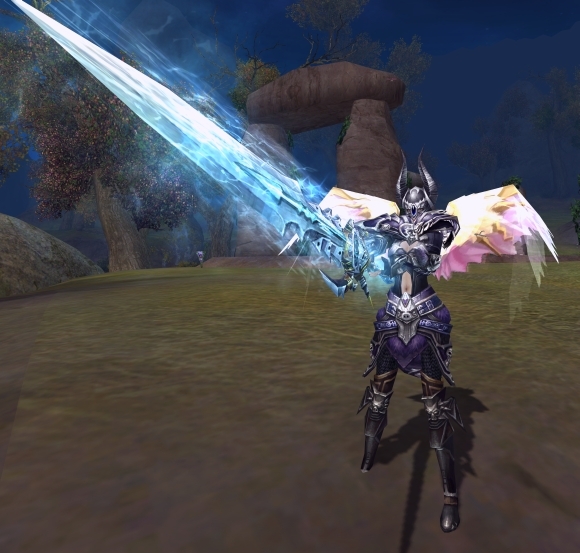 Forsaken World's next content update is just around the corner! Are you ready? Coming in August, the Chains of Kluer update will introduce a flood of new content into the world of Eyrda! Everything from new mounts, pets, armors, weapons, talents, character levels, and more will be unlocked and ready to be taken on. For all of the details, visit our newly released teaser website. Check out the update trailer, and then take in all of the knowledge located on the page to prepare yourself for the coming of the Chains of Kluer update! Remember, check out the teaser site to get more information! Properly utilizing the Training Grounds is an excellent way to level your character up during any downtime you may have. Read on to find out how to get the most out this map! 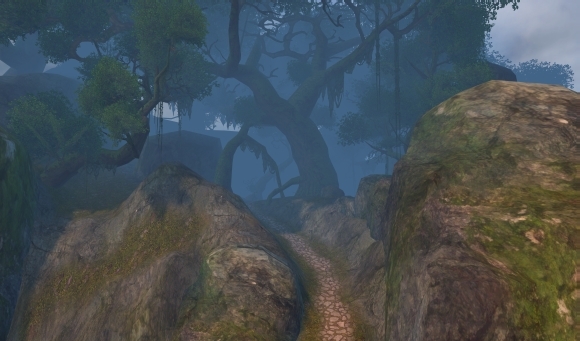 There are several ways to utilize the idle-time training area available to all races in the Training Grounds map. By using this feature, your character will gain experience and faction reputation for every minute it stays in the designated area. This is the perfect way to keep progressing your character, even while away from your computer or asleep. To gain access to this zone, talk to your faction representative and choose to teleport into the region. Once you're inside the map, you'll already be in the proper area to begin receiving experience after every minute that passes. At this point, you can idle for as long as you want and continue gaining experience. However, there are a variety of things that you can use to drastically increase the amount of experience and reputation you receive per minute. The first thing you have at your disposal are Memory Lotuses. 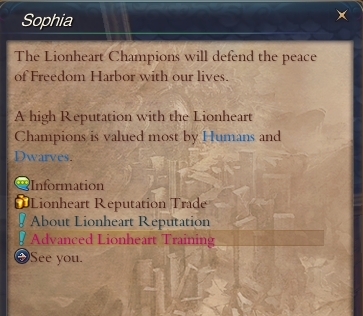 You can get Memory Lotuses by speaking with your faction representative, and choosing the Lionheart Reputation trade option. Once inside this menu, choose the "scrolls" tab. 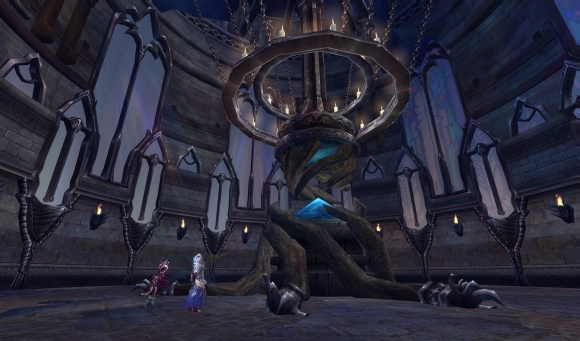 Depending on your current reputation level, you'll have access to scrolls that contain increasingly large numbers of Memory Lotuses. Once you purchase one, right click it to open it and get the lotuses. 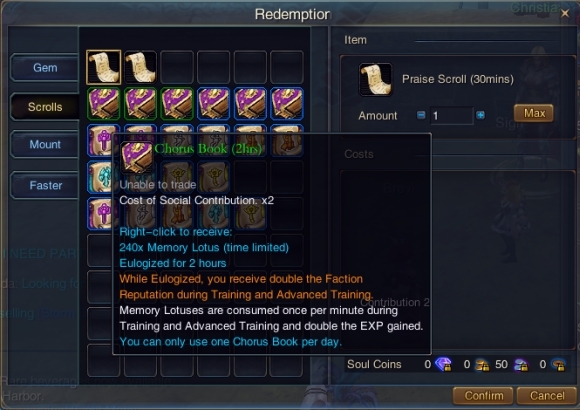 Lotuses will double the amount of experience and reputation you earn from the idle training area, and are consumed at 1 lotus per minute. In the same department as Memory Lotuses, you can consider Memory Fruits as supercharged versions. 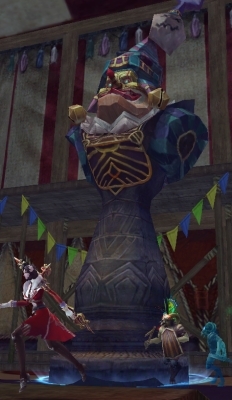 Memory Fruits are available in the Eyrda Boutique, and opening one will grant you 480 Memory Berries. Memory Berries stack with Memory Lotuses, and provide an even bigger jolt of experience after every minute passes. If you want to make significant progress on your level while you idle, stacking Berries with Lotuses is the best way to go. Finally, experience aid also contributes towards your total EXP gained per minute. If you've got some EXP aid saved up, it's a smart move to activate it during your idle training time. As you can see, there are several tiers of efficiency at which you can utilize the Training Grounds. Pick which setup works best for you, and don't waste another moment of down time! 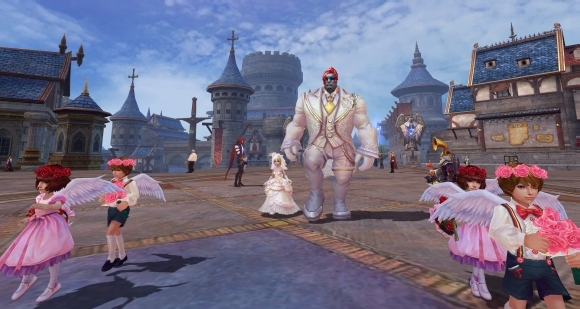 Marriage in Forsaken World is the pinnacle of showing off just how much you care for you significant other. Exclusive titles, fashions, and a grand ceremony await any couple brave enough to take the leap together. A few things need to happen before a couple is eligible for marriage. For one, both a Groom and Bride wedding pack need to be purchased. These packs are available in the Eyrda Boutique (shortcut: J key). Opening these packs will get you everything necessary to get your marriage underway. Once you have both of these packs and have opened them, you begin by visiting Larry White, the wedding manager. You can find Larry near Henry, next to the Western entrance of Freedom harbor. 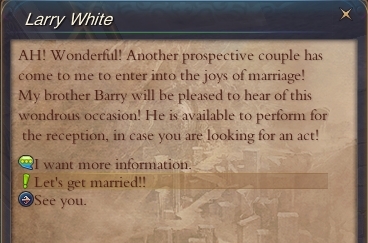 Form a party with your partner, and then take the quest that pops up from Larry called "Let's get married!" At this point, you will need to exchange rings with your partner. You do this by opening a trade with each other, and trading the rings. Once this is done, you'll see that you can complete the "Let's get married!" quest. 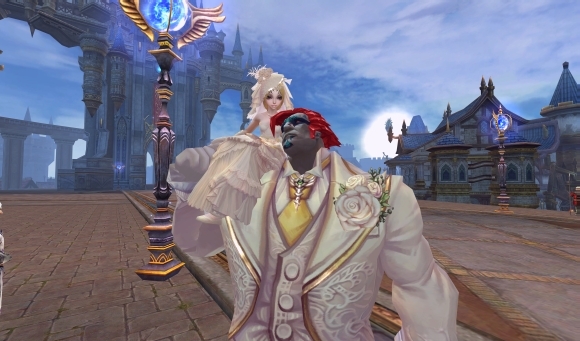 Once you complete this quest, your marriage is official! 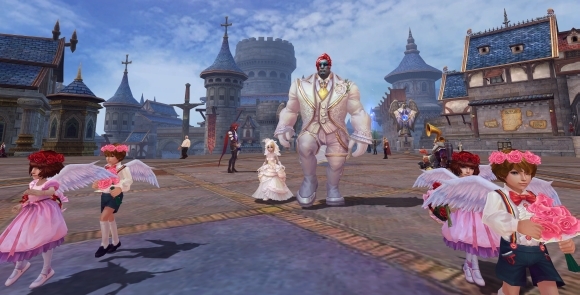 A server announcement will broadcast your union, and you'll gain an exclusive title showing the world who your bride or groom is. The festivities have just begun, though, because now you can have the grand parade through town to celebrate your wedding. If you don't want a parade, you can skip it. To begin the parade, have one person trade their marriage license to the other. Then, the person with 2 licenses needs to turn them in to Larry. 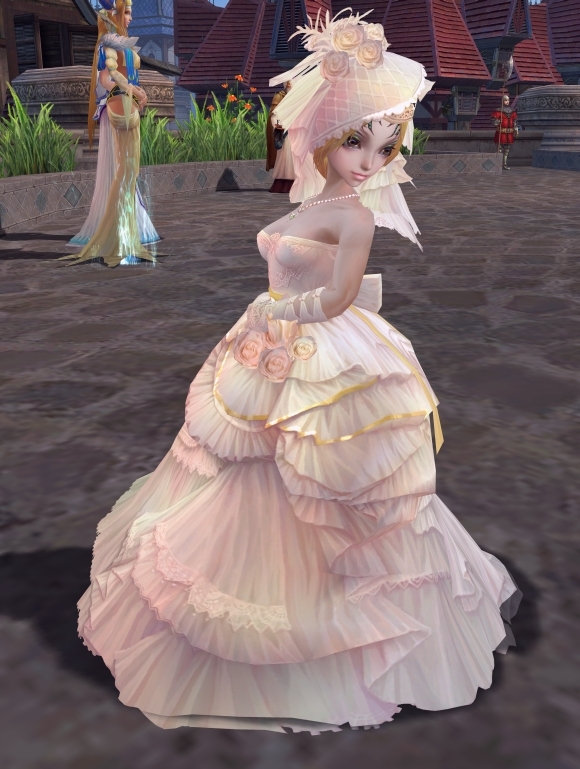 Make sure your wedding fashion or whatever else you want to wear is on, because the parade begins immediately after turning the two licenses in! The parade will have you and your partner walking down the middle of Freedom harbor all the way to Blossom Boulevard. Along the way, various NPC's and anyone else in the area can watch and cheer you on. Once you reach the end, Hugh Sutherland will announce your marriage once more, and then the parade will end. In the unfortunate event that the marriage doesn't work out, either party can break off the marriage. Talk to Larry again, and select the "Divorce" option. If only one person requests it, it will take 7 days to finalize. if both people request it, the divorce will complete instantly. And that's all there is to it! So then, it's about time to pop the question yourself then, right? Good luck! The Advanced Nightmare Carnival represents a new set of challenges in the Nightmare Carnival theme. Available for players level 40 and up, these new mini-games are a fun way to earn some experience and prizes while working with your fellow players. 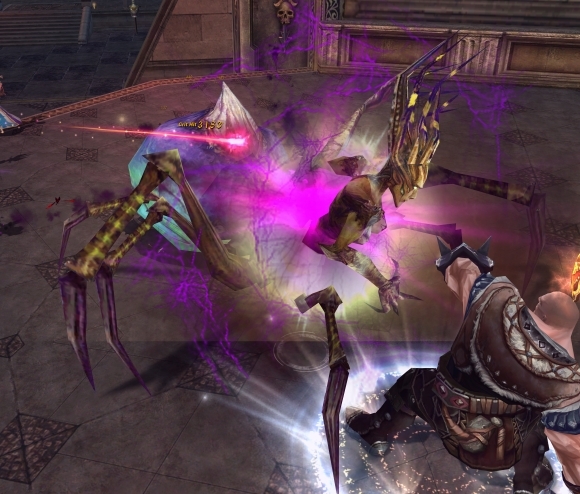 Similar to how the regular Nightmare Carnival works, the Advanced version has a series of mini-games that your party must defeat in order to earn a new type of game token, as well as experience. There are a total of four brand new mini games that parties will be faced with overcoming - Carnival Chess, Candle Cannons, Monster Hunting, and the Jumping Obstacle Course. You can queue up for the ANC (Advanced Nightmare Carnival) like any other dungeon or event by using the auto-queue system (T key). Once your party enters the ANC, your first challenge will be the Nightmare Chess minigame. The objective of this game is to move the giant chess piece forward to the end of the track. 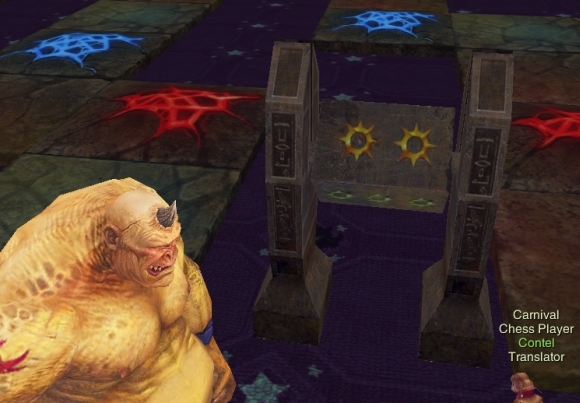 An ogre nearby will spin a dice that will move the piece forward a certain number of squares. Various squares on the board are color coded. When landed upon, red squares move the piece back one space, yellow squares teleport the piece forward on the board, and blue squares earn your party a treasure chest containing bonus rewards. Every other dice spin, your party gets to determine the number of spaces the piece moves forward. A blue lightbox will appear near the ogre, and you'll have a short period of time to place as many party members as you want in the box. The number of party members in the box determines how many spaces you'll move the piece. The goal is to of course hit as many blue squares as possible, so coordinate with your group for full effect. The next game is the Candle Cannon challenge. In this minigames, candles of three color types will spawn in a latticework in front of the two rows of cannons. 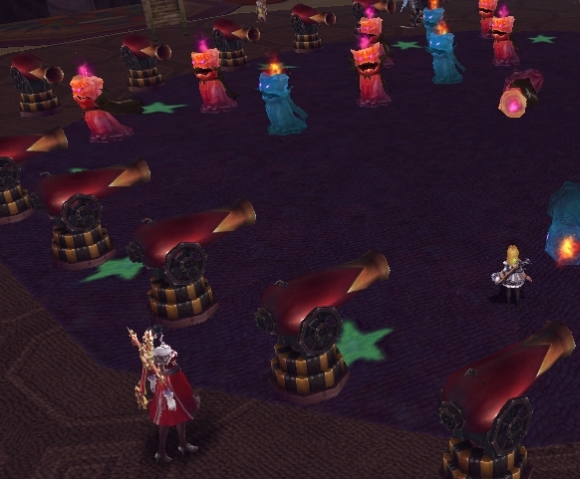 party members can fire one cannon per round, which will destroy all of the candles in that row. Destroying red candles will earn your party 1 point, but blue candles will cause your party to lose 5 points. Yellow candles will double your final score - even if it is negative! The objective is to kill as many red and yellow candles as possible while avoiding as many of the blue ones as you can. Your final reward is based on how your overall score, so make sure everyone knows to avoid the blue candles - and more importantly, can follow the directions given by the Carnival Attendant! Your final reward for this challenge relies on your final point score, so make sure everyone knows which color of candle to avoid. The third challenge your group will face is the Monster Hunting minigame. Within this room, numerous monsters will spawn. However, don't go all kill-crazy just yet, as the Carnival Worker NPC in the middle of the room will tell you which monster he wants you to kill - OR - which monster you SHOULDN'T kill. For example, one time he might say "kill all monsters named "YASA", at which point the group will look for monsters named "YASA" and kill them. Killing the incorrect monster will lose points for your party, so pay attention! Your final challenge in ANC is a jumping-oriented obstacle course. Inside of this room is a long series of pillars, which vary in height. The goal is simple - jump from pillar to pillar to the final NPC as fast as possible. The quicker you make it to the end, the better your reward is. Find out whichever camera angle and strategy works best for you when making your jumps, and then hope that your mouse hand is steady! Even if you can't make it to the end for whatever reason, the final NPC will come down from his perch eventually and you'll be able to complete the run. Your reward won't be that great, but atleast you won't be trapped. Overall at the end, you should have a good number of Carnival Coins as rewards for your completing the minigames. These coins can be spent on prize packages from the Porudock Token exchanger. Packs start at level 40 and work their way up in 10 level increments, so choose which one is best suited for you. Inside the packs are all sorts of cool things, from side-arm trinkets to consumable items and transformation potions. Interestingly enough, if the group your in does absolutely horribly, you can refrain from claiming your reward and instead wait for a better run to get your prize. 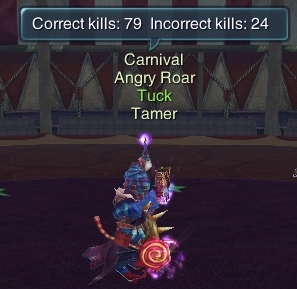 The ANC is definitely a step up from the regular Nightmare Carnival, in both teamwork and rewards. Check it out as soon as you hit level 40! 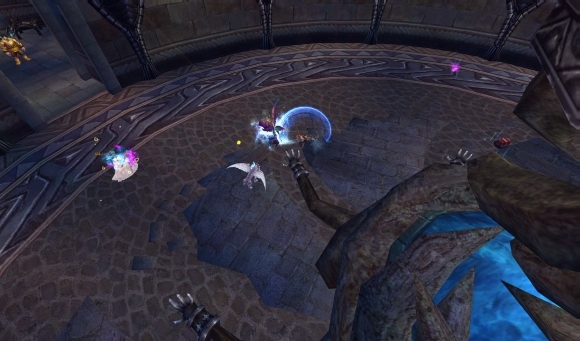 The Gaze of Larex content update is now live after the 5/25 server maintenance! introducing loads of new content, a series of events are also being launched the celebrate this milestone! 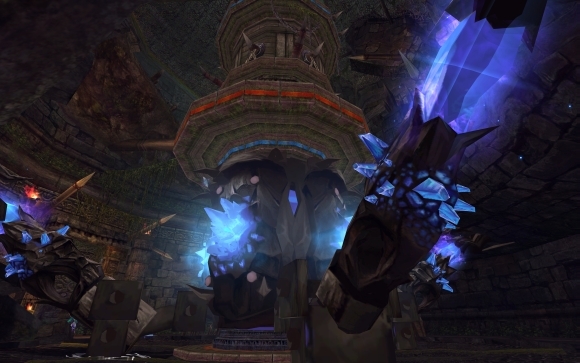 This update has introduced many new aspects to Forsaken World, from increasing the level cap to introducing the much awaited arena PvP system. For a full list of major additions, read on. The level cap has been raised from 60 to 70. New level 70 dungeon - The Ancestral Catacombs. 3v3 and 6v6 arena system, with rankings and exclusive PvP oriented rewards. New training grounds map - no more laggy, congested training areas in Freedom Harbor. New advanced mode for the Nightmare Carnival. New minigames and challenges! Full patch notes are available here! 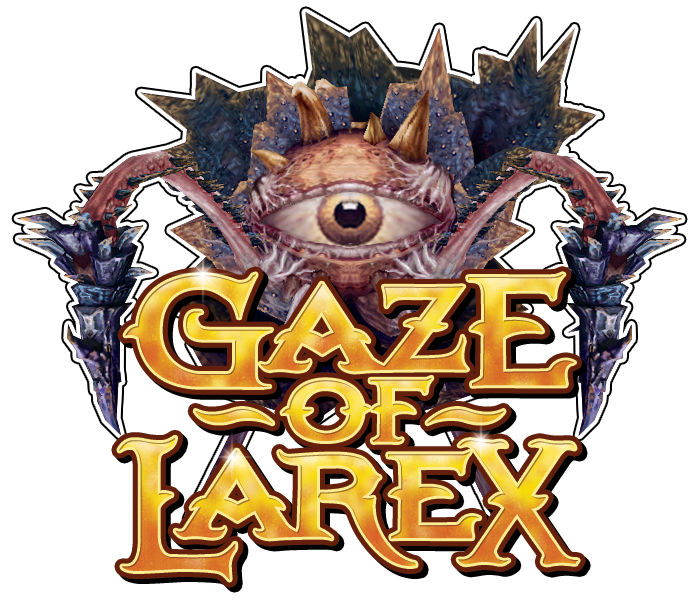 The Gaze of Larex – Coming Soon! Simply dubbed The Training Grounds, this new area was quickly populated with merchants from Freedom Harbor, looking to profit from this new venture. Also, several base camps catering to the needs of the three different factions amongst the races arrived as well. This new region is not without its threats though, as a deadly pack of wraith-like panthers have been displaced by the camps. Those training out in the wilderness had best take a friend or two with them. Third on the list of brand new content slated to release with the up and coming update - it's something many people have been asking for - an alternative to the AFK training spots! Remember the huge crowds of people standing around in various spots of Freedom harbor, lagging everything up? Well, once this update hits, this will no longer be an issue! A new map specifically to take the place of the old AFK training spots - as well as offer a whole slew of extra activities - will be available after the update is launched. We hope that this new area helps ease some of the lag being felt in Freedom harbor. We're also confident that the new activities available in this map will be a welcome change to players that consistently reach their limits in terms of daily quests and events. You'll be able to do your regular AFK training, as well as team up with friends to kill roaming monsters that drop tons of goodies when you kill them. You might as well consider it the next great hangout spot after the update hits! One thing is for certain - the massive tea parties and dummy-annihilation sessions are migrating to this new map, so look forward to a smoother, more enjoyable Freedom Harbor! Coming soon to an update near you, it's the much awaited, much anticipated arena PvP system! By queuing up like any other dungeon or event (by using the auto-queue system with the "T" key), you'll be able to choose whether to engage in a 3v3 or 6v6 arranged battle in the arena! You can either queue up solo, or go in with a pre-arranged group of friends. The main reason for entering the arena is to demolish your opposition though, so plan carefully for what you may face. Matches will take place in standard death match style. A round ends after 5 minutes, or if the entire opposing team is destroyed. If neither team is completely wiped out, the side with more kills will become the victor. Also to spice up the battle, random powerups are strewn about the arena. Taking control of these powerups will provide a team a huge edge over the competition. By participating in a battle, you'll earn points by helping your team win the match by either killing other players, or assisting your own team members. The more effective you are as a team member, the more points you'll get. By winning, you'll also earn a nice bonus. Losing a match doesn't leave you emtpy handed either, but you'll definitely not want to make it a habit if you want to be able to get in on all of the top tier rewards to be had. 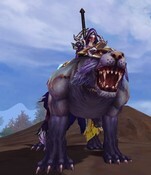 Rewards range from everything from mounts to fashion, and even sets of powerful purple quality PvP gear! It will definitely be worth your while to form a solid team to regularly take on opponents in the Arena. 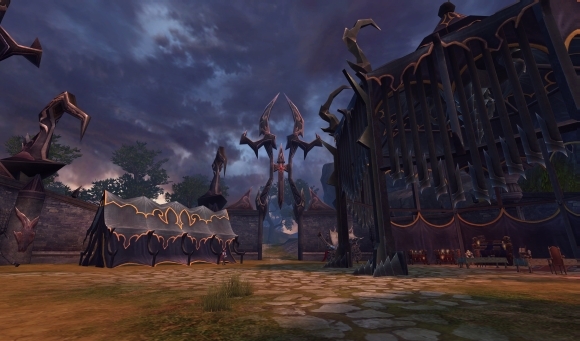 This arena system and more are coming soon to all Forsaken World servers! Stay tuned for even more revelations about new content that's on the way. 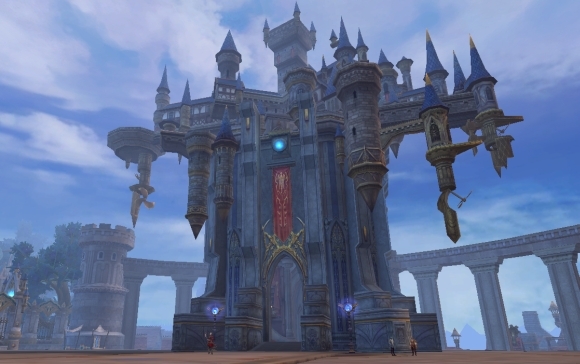 Fort Rotulor is the first gear-specific dungeon that you can expect to face in Forsaken World, and is a great dungeon to run to get yourself familiar with running instances with a party! To take part in this dungeon, you'll need to be level 15 or higher. You can find a group solo by using the dungeon auto-queue system (T key), or by entering the dungeon with a pre-made group. Fort Rotulor is located due North of Freedom harbor, and is very hard to miss! Once you enter this dungeon, you'll find that you're faced with a huge cathedral-style room full of monsters. 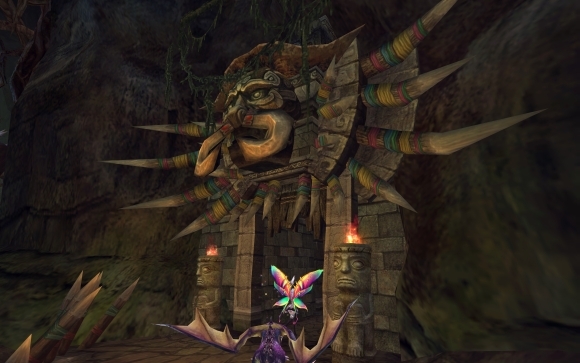 The primary method of completing this dungeon is to gradually work your way around the room, killing all of the monsters while avoiding the bosses in the middle and end of the room. Warning - if you engage the boss at the end of the room, any surviving monsters will swarm in and attack you! Once all of the monsters are cleared out, you can engage the boss in the middle of the room. 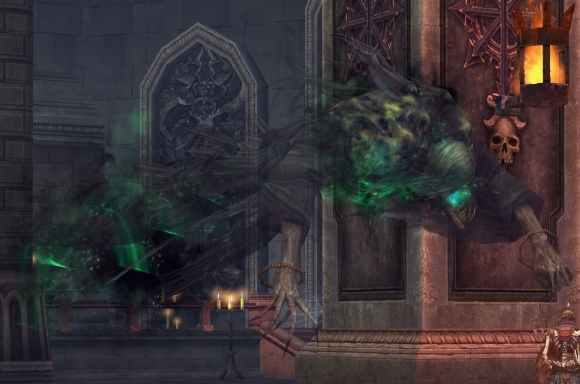 This boss, named Duo, should be fairly easy to take out as long as your healer keeps up with his healing duties. Next up is the final boss of this dungeon - Lilith! Lilith will start out in human form, but transform into a huge evil bug about halfway through. 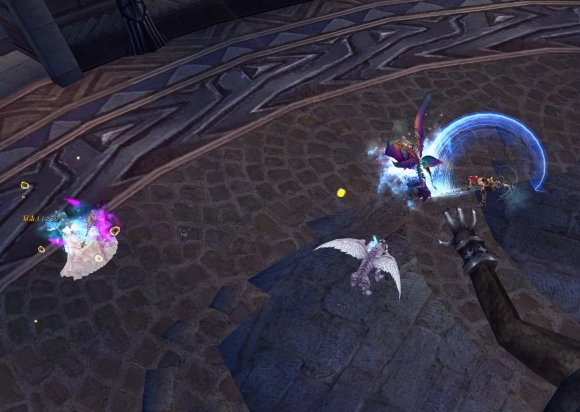 This fight is harder than the one with Duo, but is still manageable as long as your healer stays on top of his game. Rewards for completing Fort Rotulor include Obsidian Shards for your first completion of the day, level 10 blue weapons for every class, green pieces of armor, a dungeon-only footprint card, and even dim star debris. This dungeon is pretty easy even for low levels, so enjoy learning the ropes of working as a team, and get ready for more challenging dungeons to come! For a highly detailed guide on Fort Rotulor, visit the FW Wiki page about it! 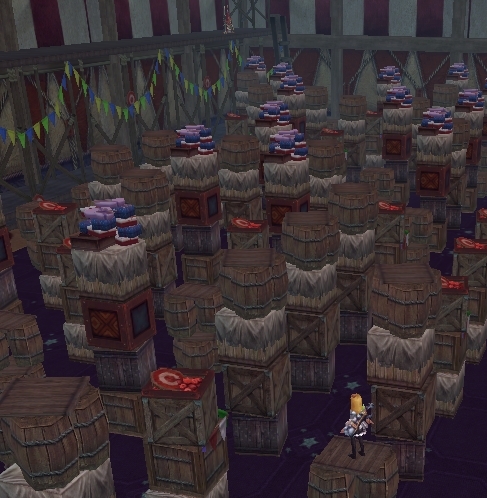 Obtaining a guild base in Forsaken World is a challenging, yet incredibly rewarding process. 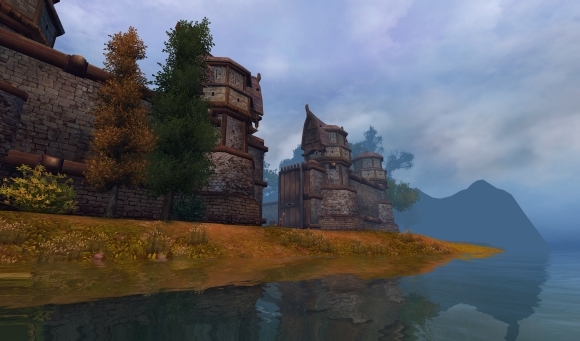 Read on to find out how to claim your own floating guild base! There are several key steps that must be completed before anyone on a server is eligible to purchase a guild base. First, you must be in a guild that is level 3 or higher. You can upgrade your guild by completing guild quests and other guild related events. Read this contribution article to learn more about this aspect. Second, the servers needs to reach 100% completion of the third stage of server progression - or the World Stage. You help fill up this progress by repeatedly using the prayer system. Each prayer will contribute to maxing out this stage so pray as often as possible! Upon reaching 100% completion of the World Era, you may begin bidding on a set number of guild bases. Bidding will only take place on Mondays. You need to visit Lawrence in Freedom harbor to participate in the bidding process. In order to bid, your level 3 guild needs a minimum of 6,000 contribution points. Bidding is a competitive process between other eligible guilds, so make sure you build up a warchest of guild funds before taking on the bidding process. Losing a bid will have all of your money sent back to you via the mail system, so don't be afraid to push the envelope. If you luck out and win the bidding war on a guild base, you will immediatly take ownership of the base. The location of the base being bid on is decided by the first person to bid on it. 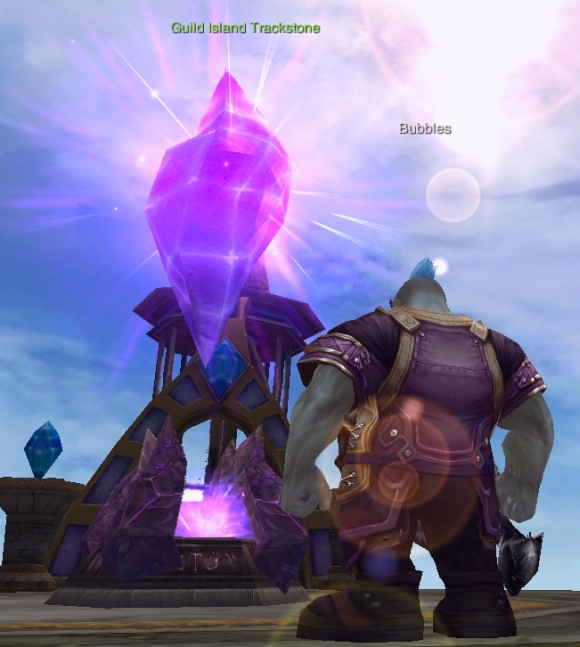 At this point, players in your guild can enter your brand new base by talking to Lawrence directly, visiting any teleportation stone, or running to the Guild Base trackstone that marks the physical location of your guild base. Owning a base unlocks all manner of bonuses and benefits, so work hard with your guild members and claim yours as soon as possible! Now introducing the Eyrda Rewards system! Take advantage of tasks you perform every day while playing to earn extra rewards. 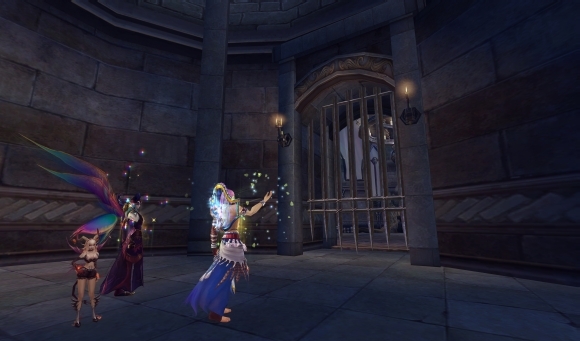 This system, which involves completing tasks such as praying a set number of times per day, or completing various dungeons, will reward you with points that you can spend in the Eyrda Rewards shop. 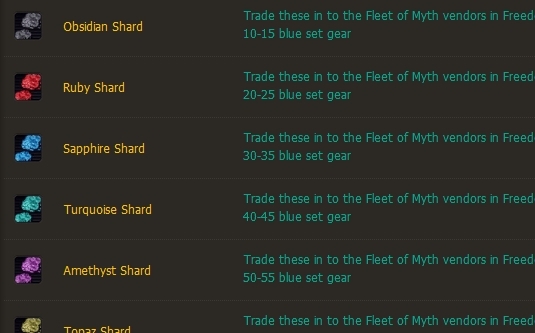 Right now, you can get dim star shards as well as all manner of shard items that you can trade in for blue set gear pieces! This is only he beginning for this system, so expect new tasks and rewards to be available in the future. Start earning points immediately, and either fill in the gaps in your shard farming, or save them up for new additions that are coming down the line! Once again, this new page can be found here! Guilds in Forsaken World have several options available to anyone that joins to not only help build up the guild, but also reward themselves as well! 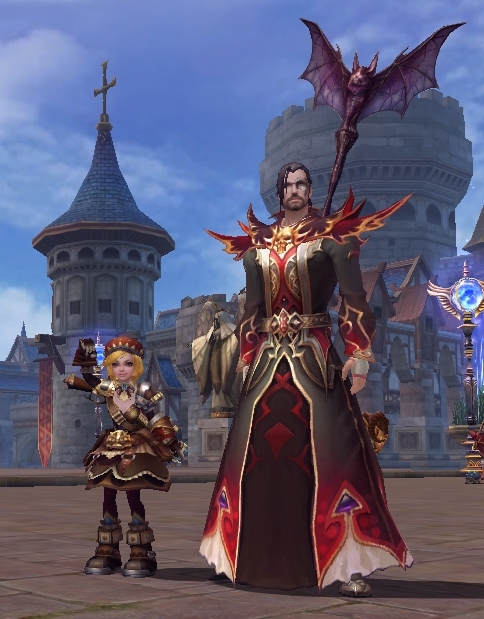 Before this article gets in depth with this subject, keep in mind that any player can join a guild at any time they wish. Even if you don't know anyone or can't decide on a guild to join, the Freshman guild system is there for anyone to join at any time. Hit the "Y" key in game, and then hit the "join freshman guild" button in the lower right. 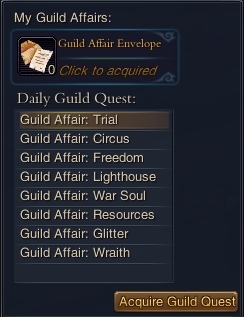 You'll get access to all of the daily guild quests this way, and will be well prepared to contribute to a player run guild in the future! 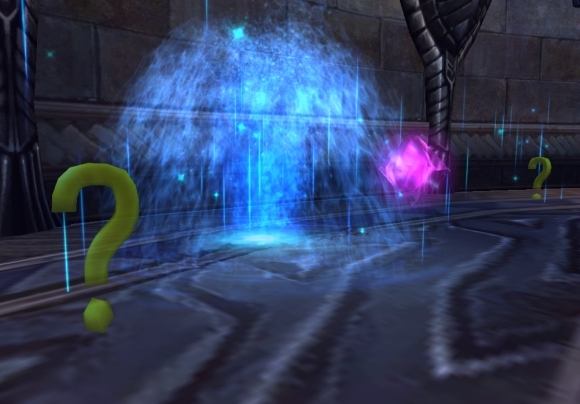 There are three things that you can help generate for both your guild and yourself. 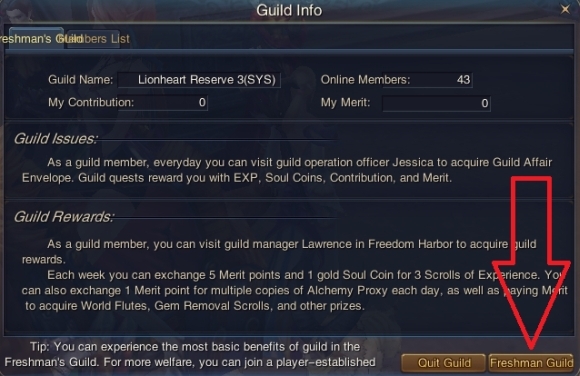 You can earn merit, contribution, and guild funds. Merit and contribution are both earned by completing daily guild quests that you can pick up in a couple different ways. Firstly, you can visit Jessica in Freedom harbor, who is located near the magic fountain. She has a set of daily quests available, of which you can pick and choose which ones you want to complete. 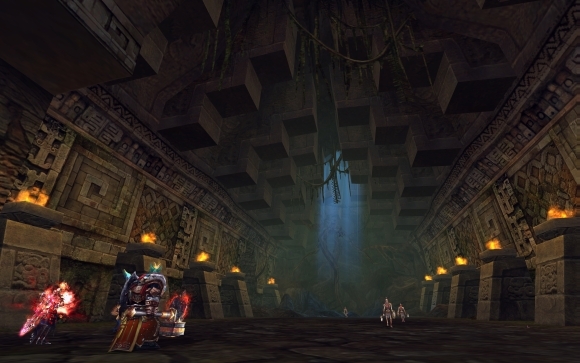 These quests typically involve completing instances like God's Trial, Emperor's Canyon, or Lost Lighthouse. 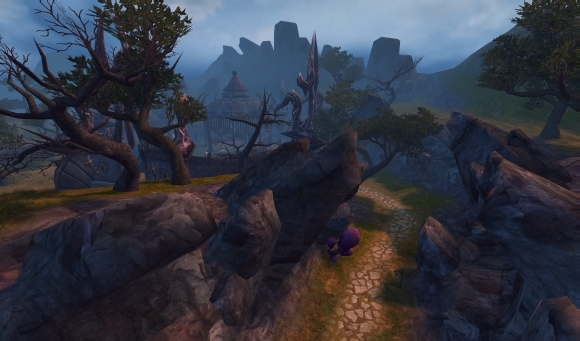 They'll also have tasks like finishing 5 rounds of Life in Freedom Harbor, or Tomb of Glory. You can only choose 3 quests per day under level 40, so you can pick and choose which tasks you want to complete. 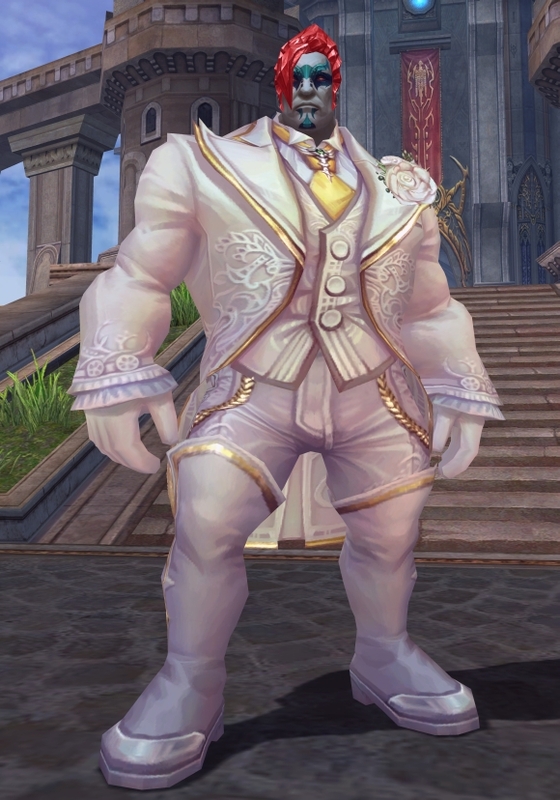 Quests finish retroactively as well, so if you've already done God's Trial for the day, taking the God's Trial guild quest will automatically complete. Free experience and rewards! 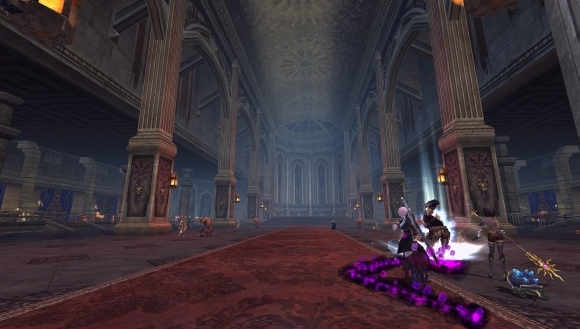 Completing one of these quests grants you experience, and some guild contribution and merit. Merit can be spent on things like Alchemy Proxies, Lionheart Scrolls, and once you have access to a built up guild base, everything from high speed mounts to all manner of potions and recipes. Guild contribution goes directly to your guild to help level it up and earn things like increased character capacity, and even a guild base. Finishing as many of these quests a day as possible is highly advised! Besides the daily quests, you can also participate in a daily donation quest. This quest is given to you by the same NPC. She will ask you to return to her with a small amount of supplies, which randomly range from things like crafting materials, potions, or things you can gather in the wild. You get experience, guild contribution and guild merit for completing these as well. All of these quests combine to give you a great way to help build up your guild with your own hands. It also shows who's pulling their weight in the guild, as you can rank players in the guild based off how much they've helped contribute. By having everyone work together, your guild will be at the top of the charts with their own floating fortress in no time - and you'll be better off as well with all of the experience and rewards that go with such an accomplishment! With the recent addition of the Mentor System in Forsaken World, experienced players have the opportunity to earn some great rewards for helping out lower levels! To take part in the Mentory System, you need to be at least level 40. 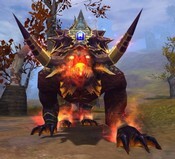 Currently, the Mentor System only applies to groups that enter the God's Trial daily event. By entering this event with a player in your group that is half your level or less, you will initiate the Mentor System automatically. 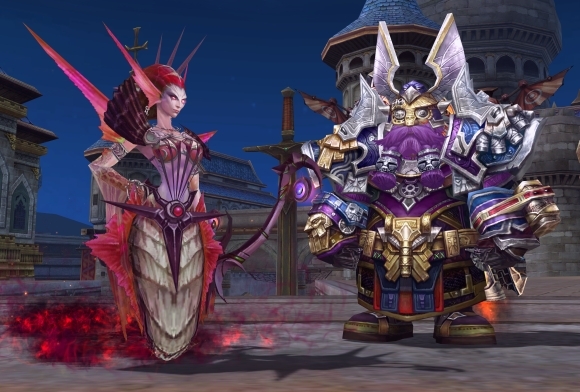 While completing the God's Trial event in this mode, you and any mentors in the group will both aquire buffs to help with the completion of the event. 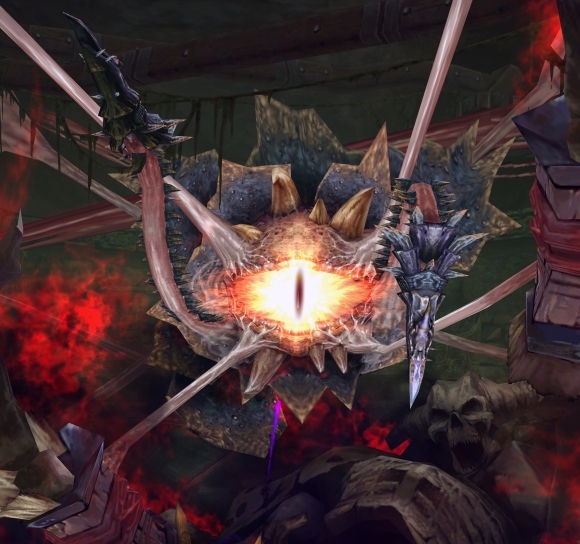 Additionally, the master will acquire 1 mentor point for every 5 kills in the event. Accumulating enough points will unlock the ability to purchase some great rewards. 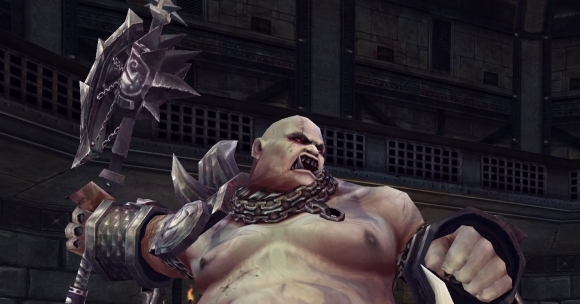 Rewards include titles, extra vigor, the removal of PK related infamy, guild currency and soul coins, as well as guild merit. Visit Vannessa in the center of Freedom harbor (near the healer) for more information! 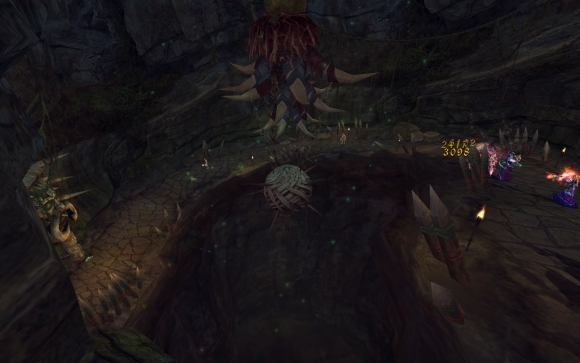 Starting out for the first time in Forsaken World can be a daunting task. Luckily enough, things are very easy to get settled into with a few useful pointers. Read on to find out more! The first thing you need to do to get started in Forsaken World is obviously to create a character. 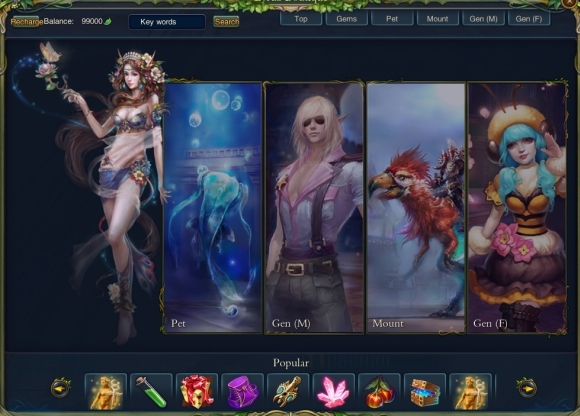 After you choose your game server, simply click "create new" and choose your race, class, character customizations, and so on. 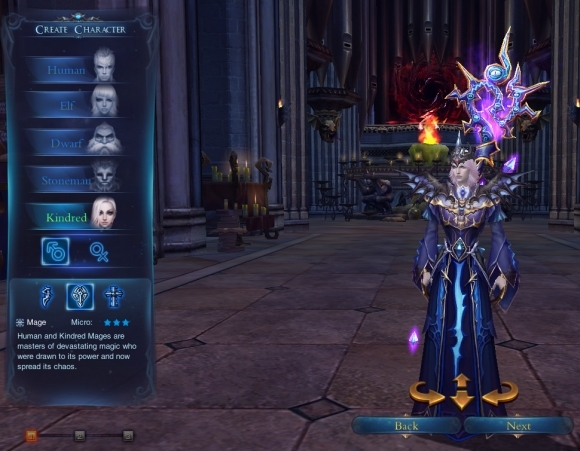 Once you've made your character, click "start", and you'll begin your journey in Forsaken World! The first thing you should know as a brand new player is that you can autopath to important NPC's automatically. To use this feature, open your quest log with the "Q" button, and then click the NPC's name that will be highlighted in green. Doing sow ill run you straight to the NPC. You can also sort available quests for you in the "Q" menu as well. Once you're familiar with doing the first few quests, you can begin working your way up to level 10. Once you reach level 10, you'll be able to make the journey to Freedom harbor, the games main city. Freedom harbor is a sprawling metropolis, so finding your way around at first can be daunting. Never fear, though, as using the autopathing feature to continue tracing the main quest line will get you a tour of the city, as well as advancing the storyline further. Freedom harbor is an important place to become familiar with, however, so take a moment to have a look around. 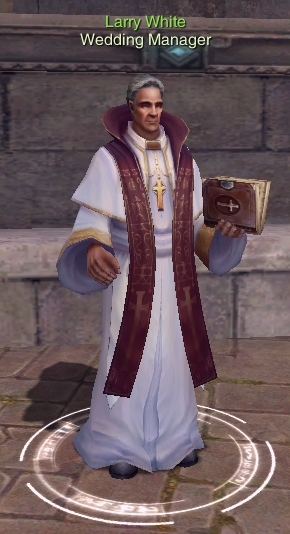 You can find merchants for anything you can think of, from alchemy tutors to faction leaders. Each NPC in the entire city can be looked up and autopath'd to by simply hitting the "m" key, and finding which NPC you want to navigate to in the bar on the right. If you ever get lost, you can click anywhere on the map to begin running to that location. Once you're familiar with the layout of the city, finding what you need becomes very easy. You'll quickly find that Freedom Harbor is a major hub for numerous quests, events, and instances. You can start doing your first dungeon as early as level 15, at a location directly North of Freedom Harbor. 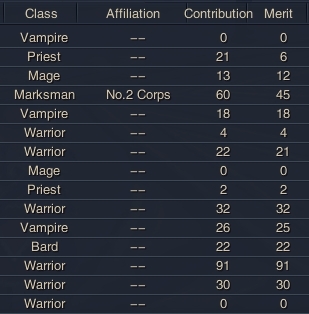 Remember that you can automatically find groups for most dungeons and instances by hitting the "T" key. It won't take long at all til you're a seasoned FW veteran, so keep at it! If you want more information about specific topics, check out this article that has a collection of informative pieces in it on a wide variety of game topics.